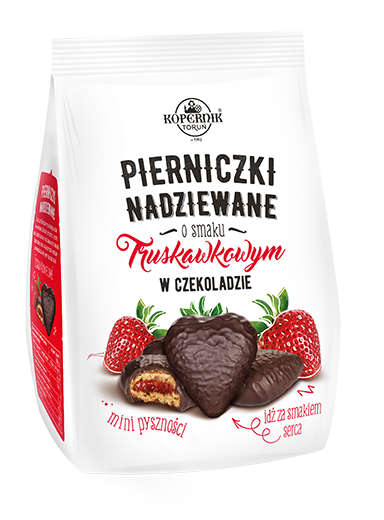 "Mieszanka firmowa" is a mix of the most popular types of Toruńskie Pierniki®. 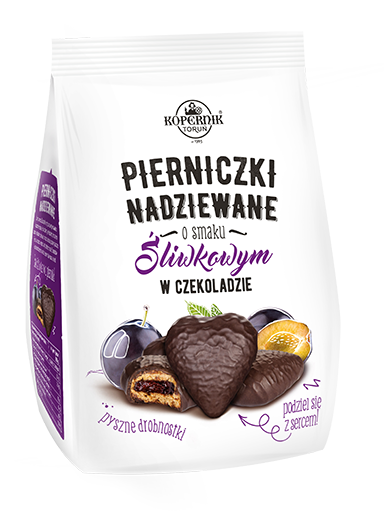 Chocolate covered Katarzynka®, glazed Uszatki and traditional unglazed Pierniki with rose flavoured filling. 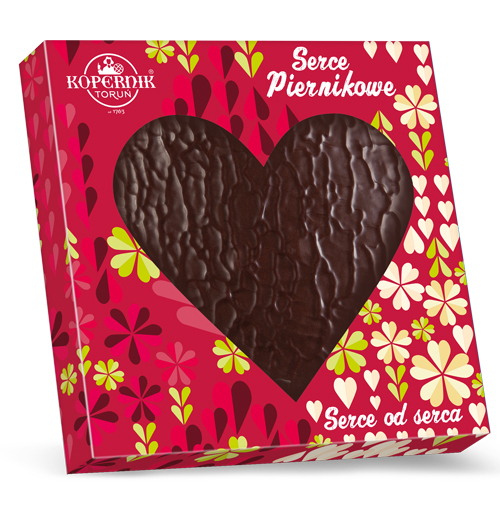 Large, heart shaped gingerbread covered in chocolate in very modern packaging design. 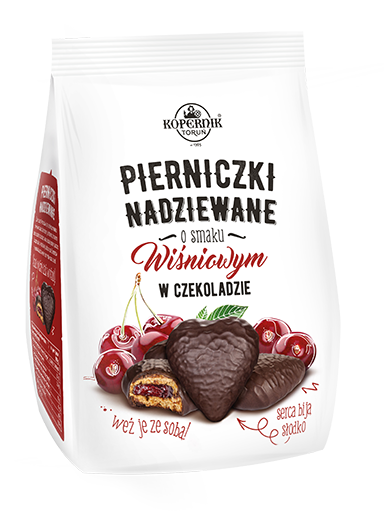 Heart shaped pierniki cakes with filling are perfect for all occasions. Covered in palm oil - free chocolate. Their uniquness come from very soft dough we used for baking them. Tradition of baking Pierniki in our town goes back to XIII century. 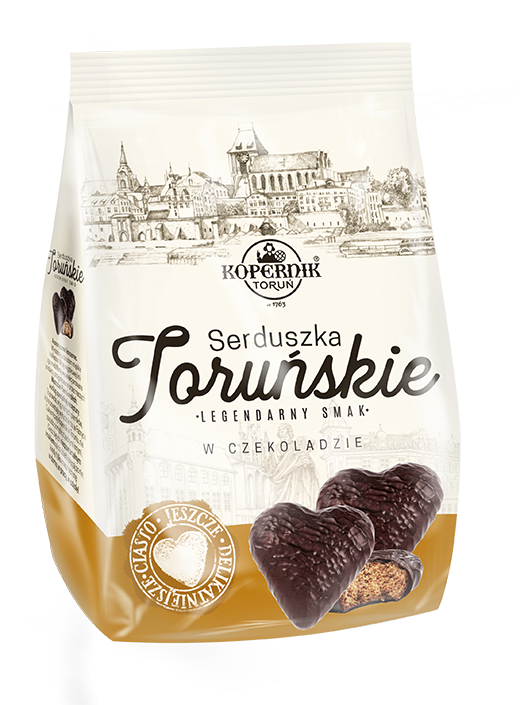 Chocolate covered hearts are the only Toruńskie Pierniki containing honey. It is added to dough so as to enrich its taste. 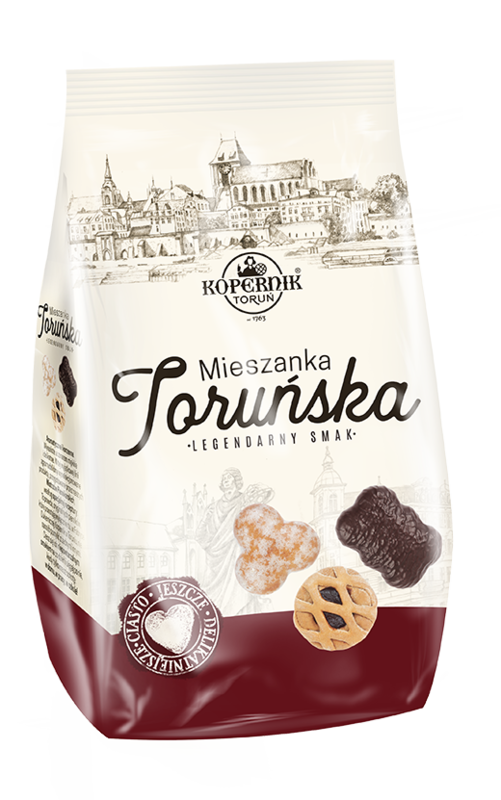 It is also a reference to the traditional method of producing Toruńskie Pierniki. 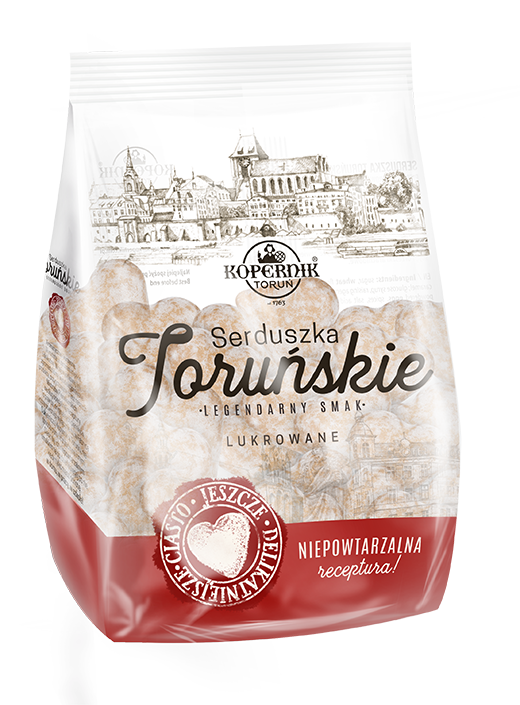 Katarzynki® are the icon of Toruńskie Pierniki® - they have been produced continuously for centuries. 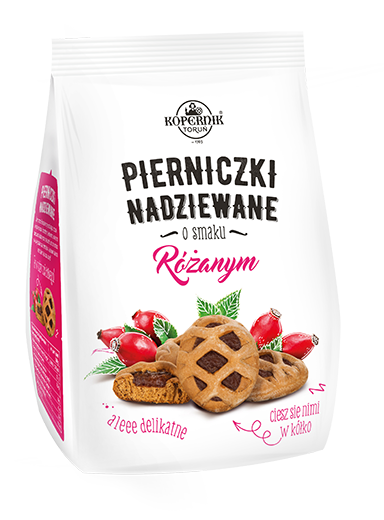 The secret of their unique taste lies in the considerable amount of natural spices that are added to dough. 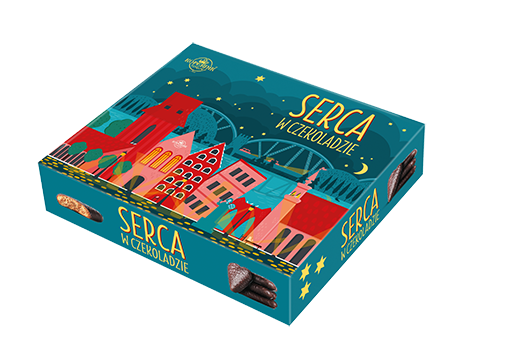 Elegant packaging will be a perfect gift. 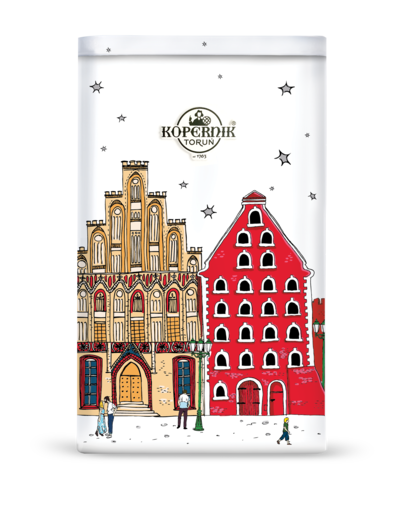 "Uszatki" is traditional Pierniki in sugar coating with mint flavour. 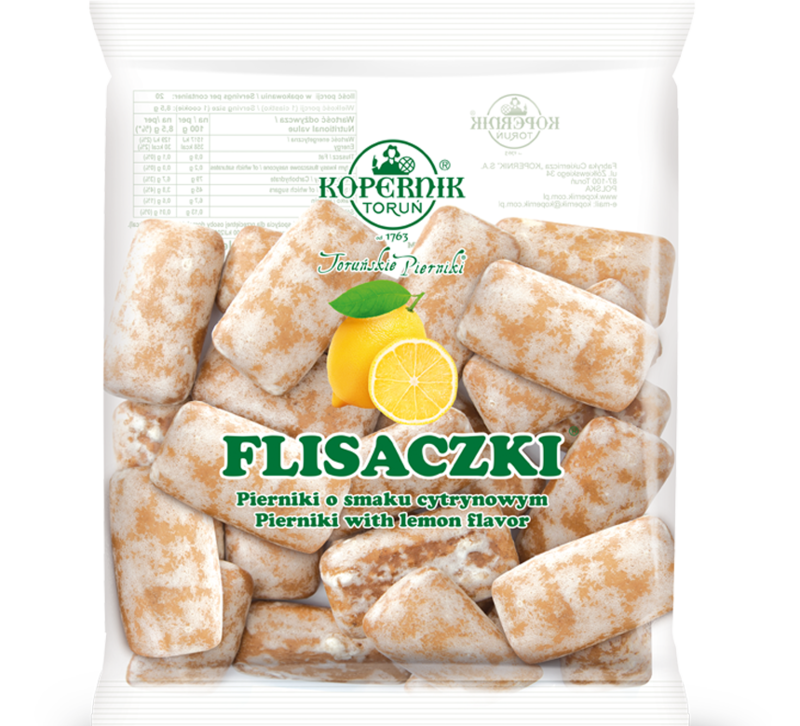 One of the most popular products that is a combination of spice cake and mint flavour. 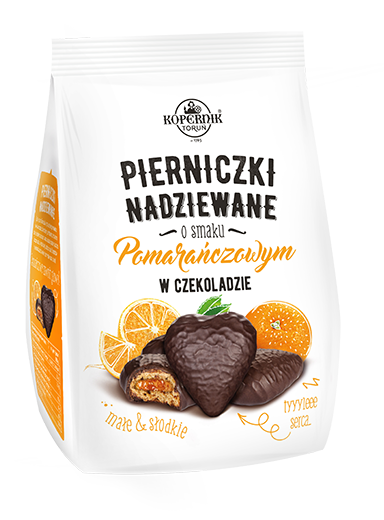 "Całuski" is the newest product in our offer. 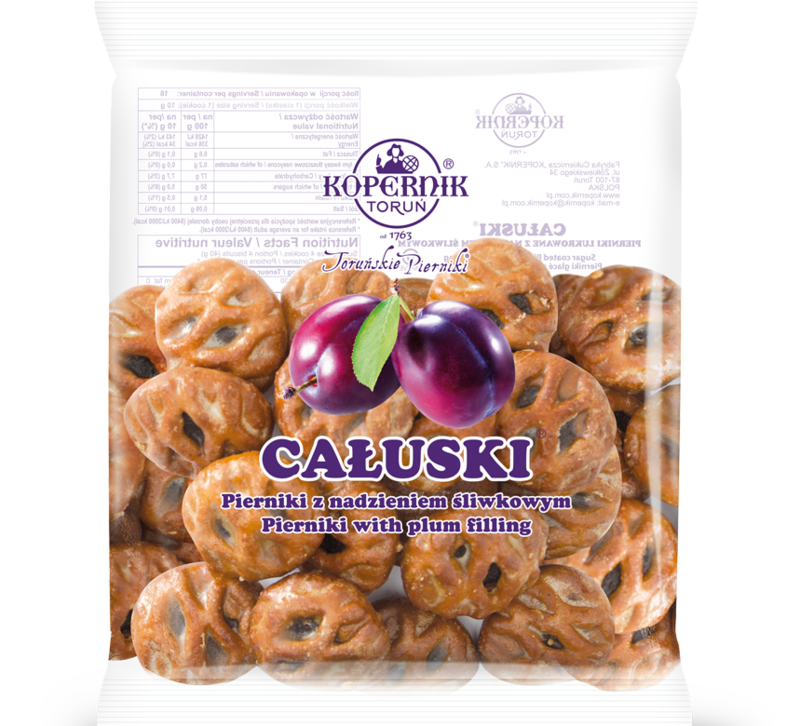 It is gaining more and more fans thanks to its attractive form and plum filling. 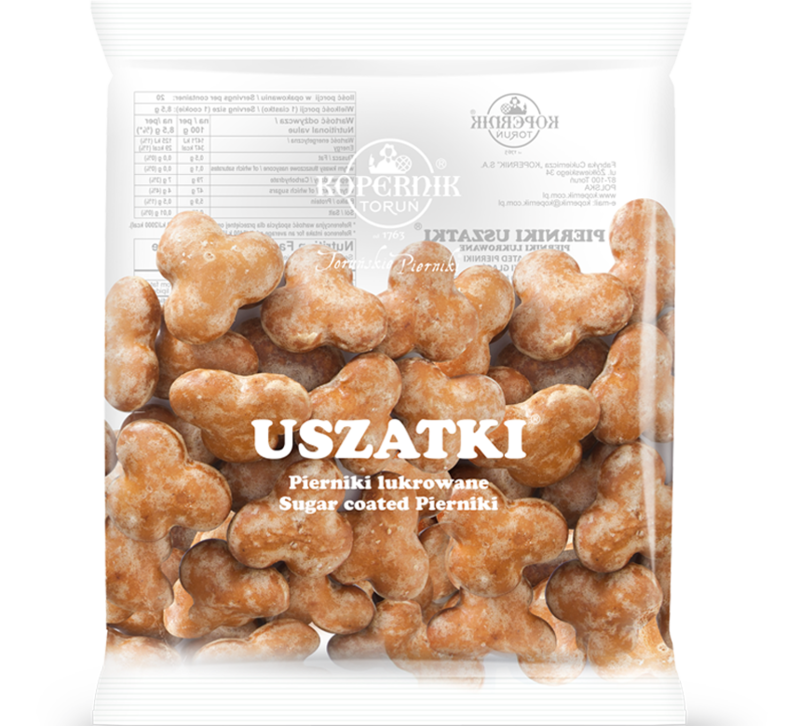 A refreshing combination of intensely spicy Pierniki in sugar coating and lemon flavour. 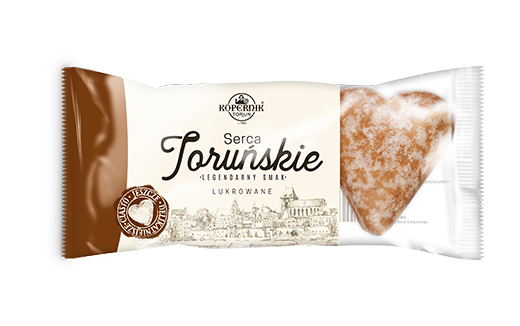 "Serca Toruńskie" is classic sugar-coated Pierniki, made of special, soft dough. You can modify cookies settings in your browser at any time. Don't show this message again.